[PDF] The Rough Guide to Rio de Janeiro | Free eBooks Download - EBOOKEE! Description: "The Rough Guide to Rio de Janeiro" is the essential travel guide with clear maps and coverage of Rio de Janeiro's unforgettable attractions. From the Christ statue at Corcovado and the fun-filled beaches of Copacabana and Ipanema to the fascinating less-visited areas like Santa Teresa and the Zona Norte the Rough Guide steers you to the best hotels in Rio, restaurants, stylish bars, cafes, nightlife and shopping in Rio across every price range. The guide provides definitive information on the Rio de Janeiro carnival, advice on finding the best carnival parades and street party 'blocos', and all the Rio de Janeiro carnival warm-up events at samba schools, nightclubs and city shows. You'll find detailed coverage on staying safe in Rio, comprehensive information on Rio's football clubs, as well as coverage of volleyball, Brazilian Ju-Jitsu and hiking in the beautiful Tijuca national park. 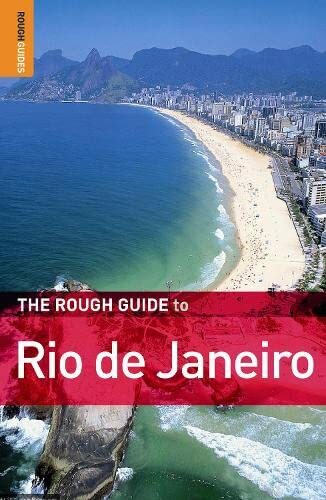 "The Rough Guide to Rio de Janeiro" also includes handy information on getting out of town to Paraty, Petropolis, Ilha Grande and Buzios. It lets you explore all corners of the city with authoritative background on everything from Rio de Janeiro's turbulent history to Afro-Brazilian influences, relying on the clearest maps of any guide and practical language tips. It lets you make the most of your holiday with "The Rough Guide to Rio de Janeiro". No comments for "[PDF] The Rough Guide to Rio de Janeiro".